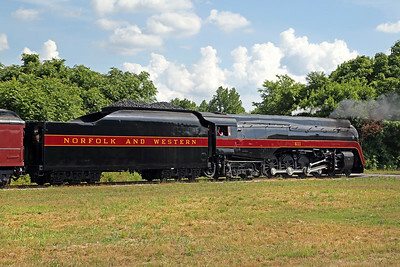 N&W 611 (built 1950) was one of 14 J class 4-8-4 steam locomotives built for passenger service by the Norfolk & Western Railway's Roanoke Shops. 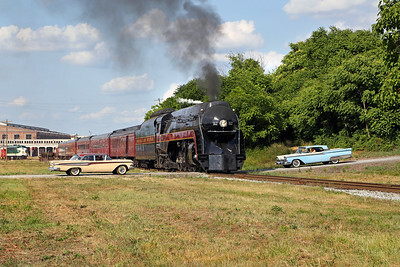 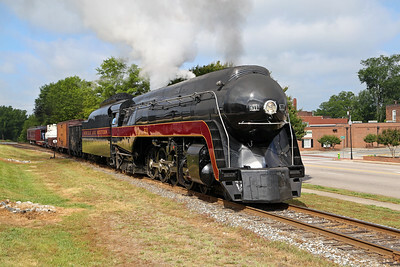 As the N&W replaced steam with diesel, the 611 was donated in 1960 for static display in Roanoke at what would become the Virginia Museum of Transportation. 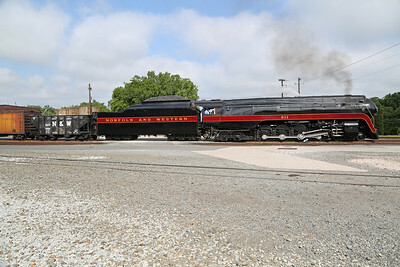 The only J class locomotive preserved, the 611 was restored in 1982 to lead passenger excursions for Norfolk Southern's Steam Program. 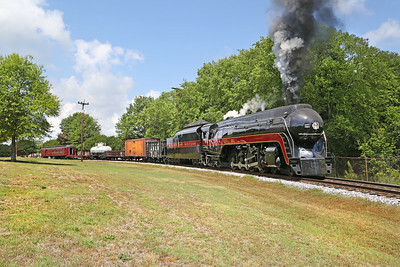 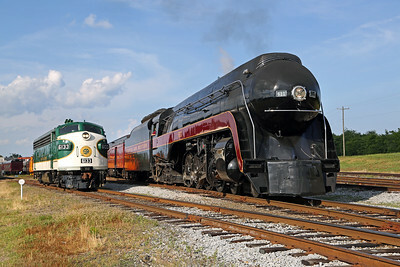 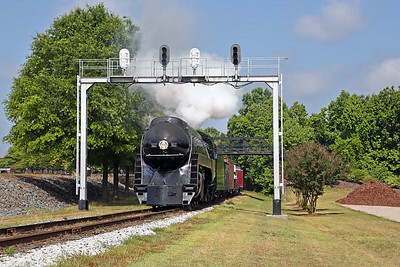 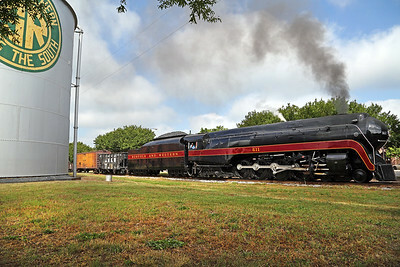 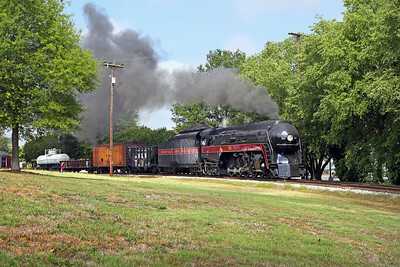 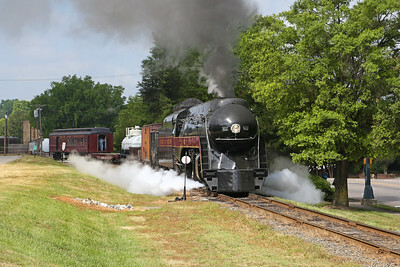 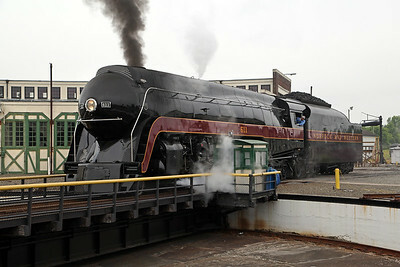 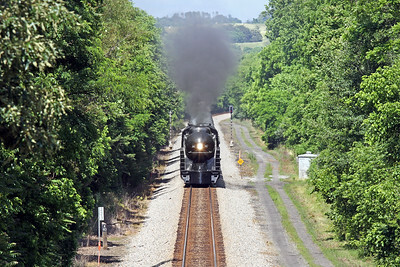 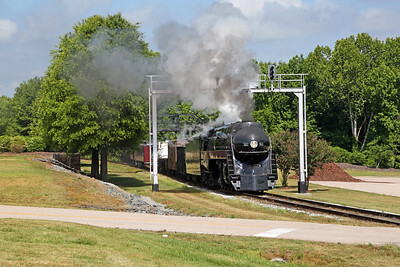 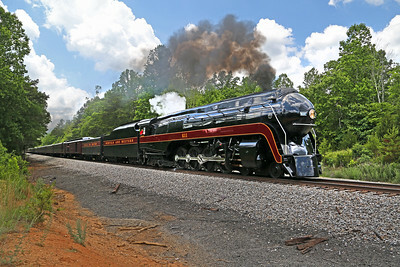 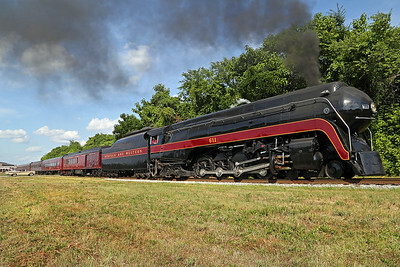 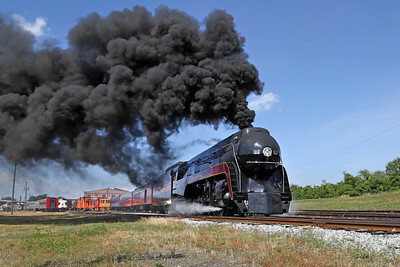 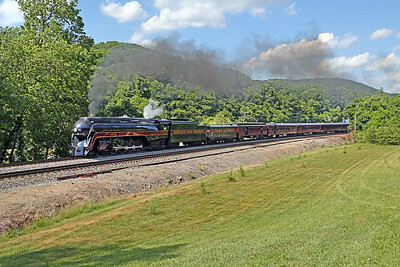 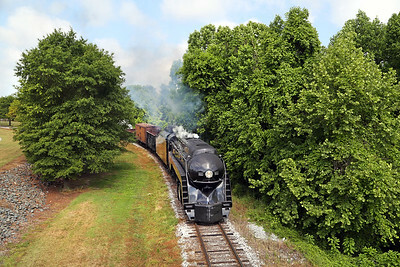 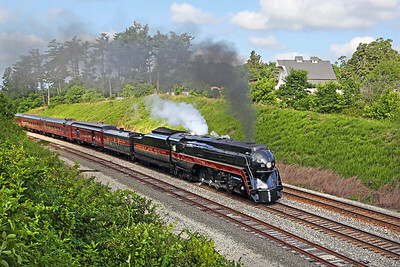 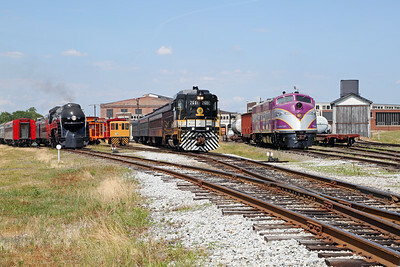 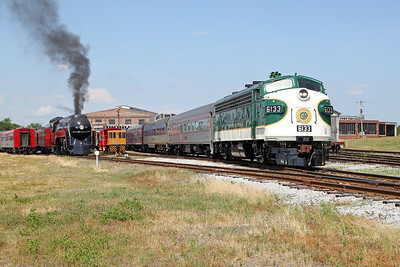 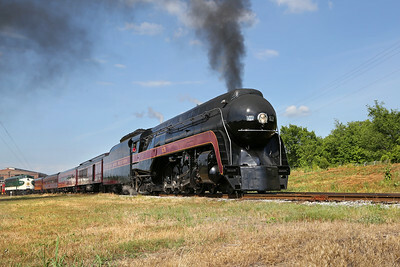 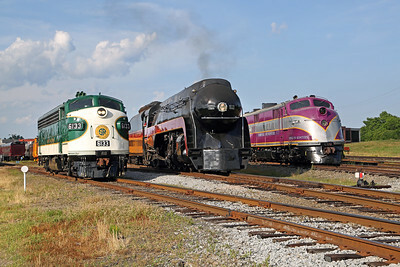 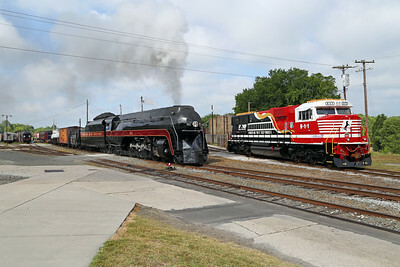 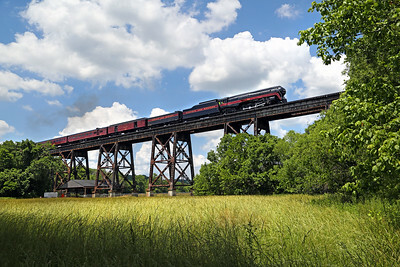 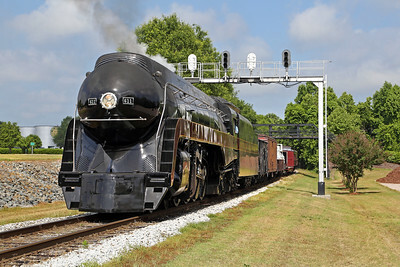 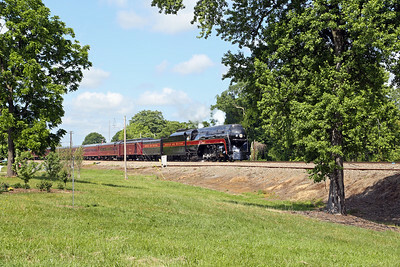 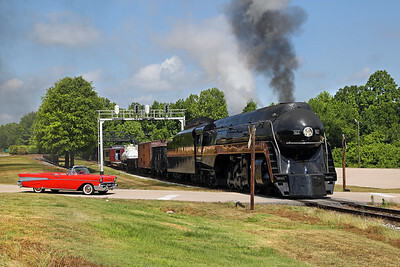 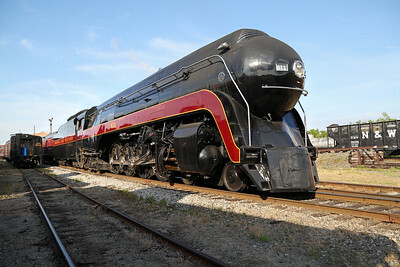 The program was cancelled in 1994 due to rising costs and the 611 once again returned to Roanoke after more than a decade of excursions throughout the South. 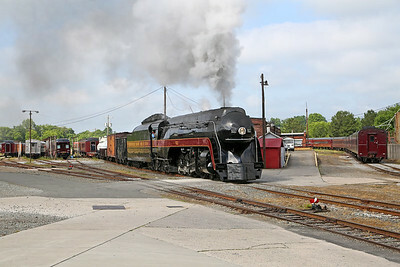 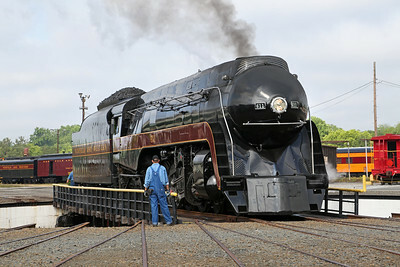 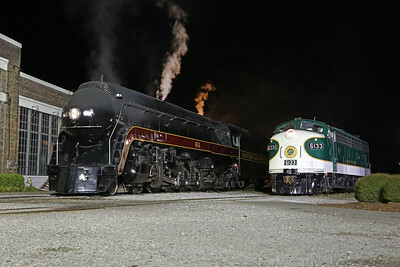 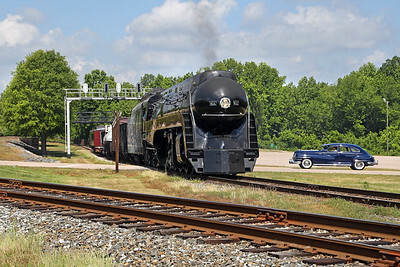 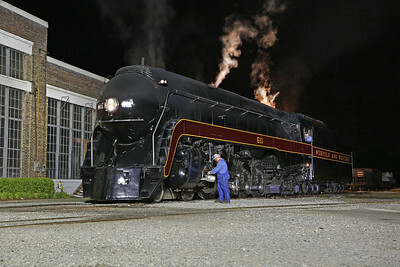 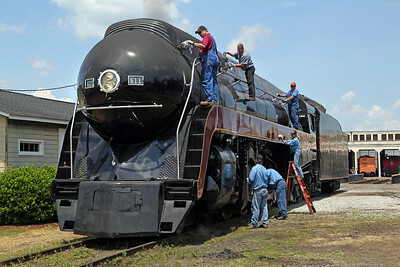 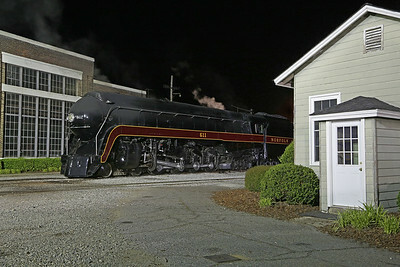 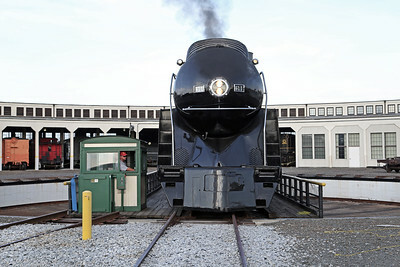 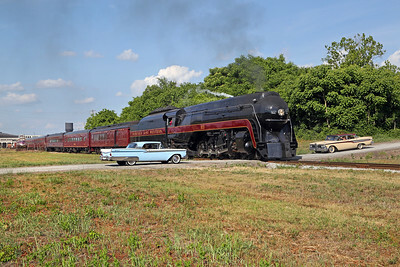 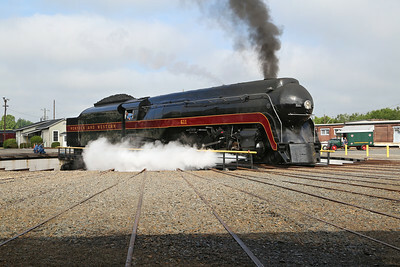 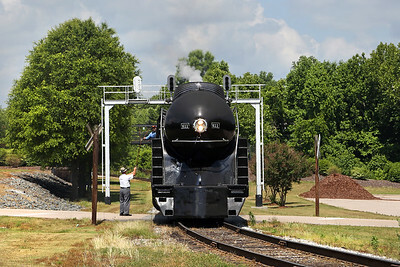 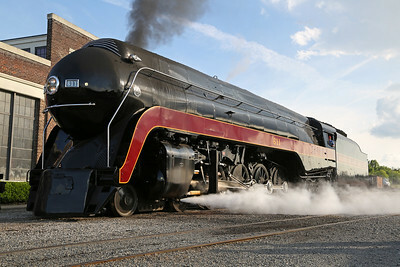 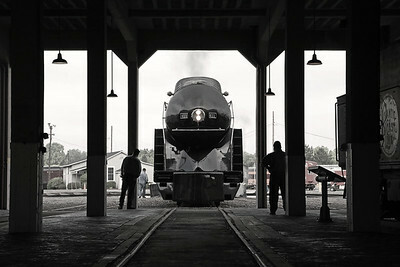 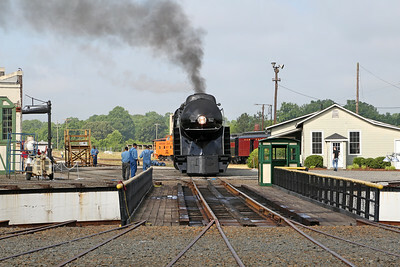 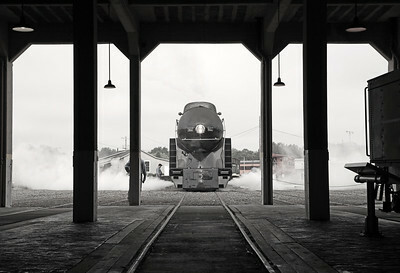 Twenty years later with the rebirth of the program (now known as 21st Century Steam), the 611 was moved to the North Carolina Transportation Museum in Spencer, North Carolina for yet another restoration. 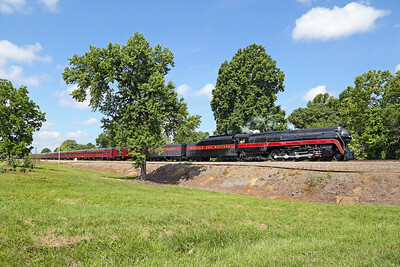 The locomotive is pictured here pulling short passenger and freight trains around the Spencer Shops facility just weeks after restoration, then leading its first excursion of the 21st Century from Spencer to Roanoke (via Lynchburg) on May 30, 2015. 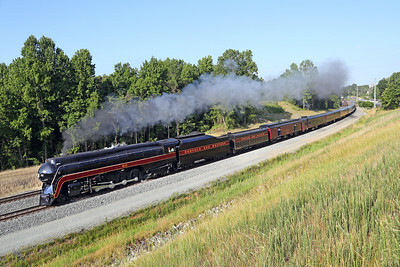 Upcoming excursions are listed on the Norfolk Southern Steam Schedule.